Sydney bus passengers will soon have direct access to the latest service updates thanks to a new bus-specific twitter stream. New Transport for NSW Twitter handles will become active on October 4, with a seven different handles for each region of Sydney’s suburbs. Twitter will be increasingly used to communicate important travel information and encourage passenger feedback, as the CBD is carved up and bus services altered to make way for light-rail. 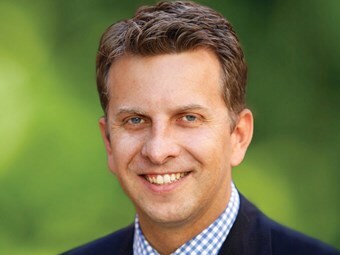 New South Wales minister for transport Andrew Constance says it is vital bus passengers have access to real-time travel data and are able to give feedback about their experience. "Last year we introduced Twitter handles for each of our train lines and they've proved a success - with more than 50,000 people now following their train line on Twitter and engaging with Sydney Trains’ staff on a daily basis," he says. "We've seen over 2.3 million downloads of popular real time transport apps and our revamped transportnsw.info website received 37.2 million visits in 2014-15, an increase of more than six million visits in just three years." The upgrade to online communications coincides with major bus service changes starting in the CBD, as part of the major light rail and pedestrian precinct development projects starting in October. "As well as upgrading infrastructure and putting on extra services to improve the transport experience, we’re focussing on apps, the web and social media to communicate with customers as soon as there’s an issue and provide more options for customers to tell us when their service is not up to scratch," Constance says. "When you tell us your train carriage is dirty or your bus didn't show up, we can pull out all the stops to fix the issue or at least investigate whether there’s a systemic issue we need to get on top of." Customers will soon be able to follow Twitter handles for buses travelling from Sydney’s West, North West, Inner West, South, South West, Eastern Suburbs, East and North. The corresponding Twitter feeds are @BusesWest, @BusesSouthWest, @BusesNorthWest, @BusesNorth, @BusesEast, @BusesInnerWest, @BusesSouth.